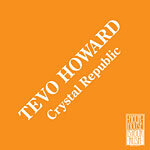 Tevo Howard’s music is still a bit rough around the edges. Sometimes that works to his advantage, as on last year’s “About Fourteen,” a haunting collaboration with his father, or on “Everyday House Music” which grew on me so much it topped my year-end list. This EP will probably grow on me as well, but a few listens into it, I feel like a limited sound palette is holding Howard back. http://charlotteskitchendiary.com/tag/el-pimpi-malaga/ The title track starts with a fast acid bassline. Understated strings form a sweet, simple melody. The sounds are pure, if a bit too clean. “Laboratory” is a mirror image of “Crystal Republic,” with the bassline coming in at the end. The melody is a little fuller and a little darker. I keep coming back to it. “The Glass Ceiling” progresses slowly, with long chords and tense bass. Glimmering treble synths appear at the last second. On “Material,” beats walk up and down, then bells and 303 echo like a Steve Reich loop which miraculously stays in sync. Both versions of “Data” have a higher, looser 303 line over gated kicks and the occasional chomp of snares. As with all of these tracks, the breaks stretch on and on. On one hand, it’s cool that Howard is able to make a six-track EP with just a handful of sounds. On the other, I find myself yearning for deeper bass and more complicated beats. The tracks are so similar, I find it hard to recognize them individually. I realize Howard’s laying the groundwork. I’m just ready for him to add a new twist. you know, i was a little bit disappointed with this album. it certainly isn’t terrible, but it lacks the diversity of texture and structure that his other work has. when you think about the 5 tracks on “Everyday House Music”, it’s pretty amazing how he can use such simple sounds and drums and come up with brilliant music. basically every record he puts out has been different sounding even amongst the tracks on it, with other standout cuts like “Move” sounding like nothing else he has done. i don’t know if the fault lies in whomever picked the tracks for this (possibly label guys?) or what, but it is probably the first thing by him that i wouldn’t call “essential”. that said, it is still pretty damn good. I think Data on this is fantastic but I’d have to agree that it is the first Howard release that sounds a little like he is going through the motions. He’s had a busy release schedule in the last 12 months which you couldn’t blame him for, gotta capitalise on the buzz, but maybe he needs to take a little break for a while, and then drop another classic on us.